A professor in The College of Arts and Sciences has discovered a “lost” play by one of Spain’s great 17th-century writers, Félix Lope de Vega y Carpio. 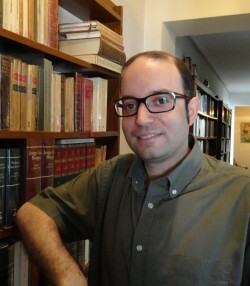 Alejandro García-Reidy, assistant professor of Spanish in the Department of Languages, Literatures and Linguistics (LLL), recently unearthed the manuscript to Lope’s 1614 comedy “Mujeres y criados” (“Women and Servants”) in the Spanish National Library in Madrid. The document, he says, dates from 1631. The discovery is the subject of an article by García-Reidy in the Spanish journal Revista de Literatura (CSIC, 2014). Already, plans are under way for Rakatá-Fundación Siglo de Oro, a theater company in Madrid, to premiere the play in the near future. García-Reidy is also working with Prolope—a research group at the Universitat Autònoma de Barcelona (UAB), dedicated to editing the theatrical works of Lope—in an annotated version of the play that will be published by the Spanish press Gredos. The significance of his discovery is not lost on García-Reidy. A contemporary of Shakespeare and Marlowe, Lope is considered a key figure in Spanish Golden Age literature who penned more than 1,500 plays and dramatic pieces, of which more than 300 have survived. Lope also wrote more than 3,000 sonnets and a handful of novels, novellas and epic poems. He is best remembered for the plays “La dama boba” (“The Stupid Lady”) (1613), “Fuente Ovejuna” (“Source Ovejuna”) (1614), “El perro del hortelano” (“The Dog in the Manger”) (1616), and “El castigo sin venganza” (“Punishment Without Revenge”) (1631). Lope is generally credited for pushing the limits of Spanish theater at a time when it was becoming a mass cultural phenomenon. In the process, he became the envy of many living writers, including Góngora and Cervantes (the latter of whom called him a “Monster of Nature”), as well as a source of inspiration for later ones, notably Goethe, who marveled at the scope of Lope’s oeuvre. An LLL faculty member since 2012, García-Ready specializes in Early Modern Spanish literature and culture, the history of theater and the digital humanities. His book projects include “Las musas rameras” (“The Prostitute Muses”) (Iberoamericana/Verveurt, 2013), which considers Lope’s impact on the emergence of writing as a profession. 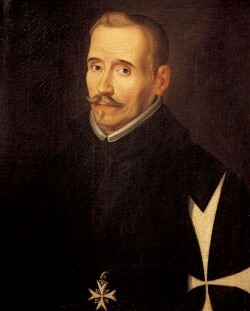 García-Ready has also prepared several critical plays by Lope and another 17th-century Spanish dramatist, Agustín Moreto y Cavana. He earned a Ph.D. from the Universidad de Valencia (Spain), before serving as a postdoctoral researcher at Duke University and UAB.